This Hourlie is for converting up to 20 pages (approx. 5000 words) of your book to Kindle .mobi or epub format. I will supply a Kindle mobi file or an epub file ready for upload to your chosen Distributor - Amazon KDP, iTunes iBooks, Barnes & Noble etc. Please get in touch with details of your book (see ‘***’ below) before you make an order - due to the nature of ebook formatting we will need to discuss the project before I can give a definite quote of cost / time. I have converted over 100 Books over the past 3 years - I am expert at producing reliably functioning Kindle and epub eBooks. Especially in the case of Amazon Kindle eBooks - I guarantee that your Kindle eBook will function correctly and look great on ALL Kindles both old and new generation. Are there any images in the book? – and if so how many? Preferably - please send the book - I can access most file types eg. WORD, PDF, InDesign, RTF, etc. (WORD and PDF preferred). (I am willing to sign a non-disclosure agreement if required). I will need the book source file and / or PDF before I start the work. Chris did a superlative job, suggesting improvements here and there and producing a flawless output. I had a great experience working with Chris and would highly recommend him to others! It was a headache hiring someone on Fiverr for my first book. 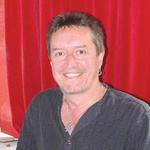 It was well worth the higher fee for the fast, efficient and helpful service Chris provided. Thank you! Good job every time. Thanks Chris. Chris did a superb job converting my book to Kindle format. Having never done anything like this before - and being someone computer illiterate - I embarked on this project with some trepidation, but I shouldn't have worried, as Chris delivered a first class job, mre than happy to put up with my questions and continual missng of deadlines. If I ever do anything like this again, Chris will be my first choice to do the work, and I have no hesitation recommending him to others either. Chris was an absolute joy to work with. His attention to detail is laser like and his communication is thorough. I love the end result - the book looks great and you can tell he is someone passionate about the service he is providing. I can't recommend Chris enough! Chris is very good. He converted a Word document to mobi. He is thorough and professional. He highlights issues but always checks before making any changes. He is knowledgeable and communication was clear and easy. I am very happy with his work. This is my second time working with Chris. My first time doing an ebook so I made a lot of rookie mistakes. Chris was extremely patient with me and very professional. I highly recommend Chris and will definitely use again. Following an initial hourlie to convert 1 book to ePub and mobi format, I commissioned Chris to convert an additional 9 books. His work was excellent and professional. He went the extra mile and always kept me abreast of progress. I will definitely use his services again. Thanks Chris! Over 28 years Mac Artworker experience. Typesetting / Page Layout / Createspace formatting / Image Editing. 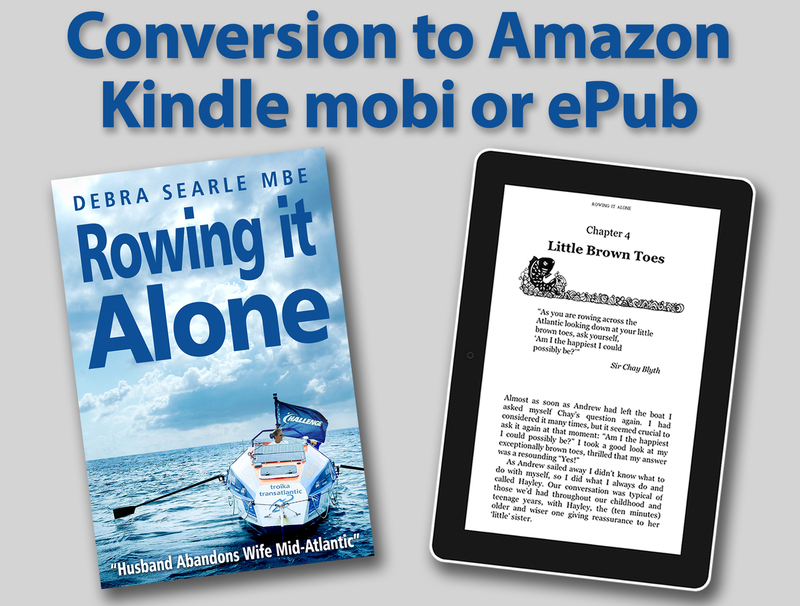 Kindle mobi and epub Formatting / Conversion / Enhancement / Fixing. I will...Read moreOver 28 years Mac Artworker experience. Typesetting / Page Layout / Createspace formatting / Image Editing. Kindle mobi and epub Formatting / Conversion / Enhancement / Fixing. I will give you a high quality, good looking and reliably functioning ebook. My typesetting/typography and programming experience gives me the perfect skill set for an ebook formatter – I use hand coded CSS/XHTML in ebook conversions. Adobe InDesign CC2017 - proficient; Photoshop CC2017 - very proficient, including cutouts - soft edge and hard edge clipping path, re-sizing, colour/levels correction, enhancement etc.